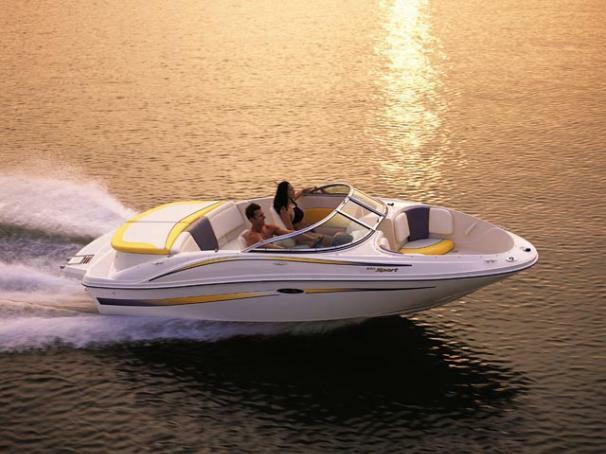 Boat Description The exciting 185 Sport features next-generation styling with dynamic new graphics and bright new colors. Innovative Turn-Key Starting (TKS) system has been added, which offers automatic fuel-enrichment instead of a traditional choke. A custom-fitted trailer with swing-away tongue is also included.